The intent of the HRE Spyder X20 Systems is to provide our customers with everything that will be needed with the Spyder X20 for a successful show. This kit we believe will supply the needs for most small and medium size shows. We include extras, accessories and widgets based on our own show experience being in the hot seat and needing these items in a pinch. We hope you will understand the value that we put in to these systems the same way we do. Here is a bit about the Spyder X20 if that is new to you. 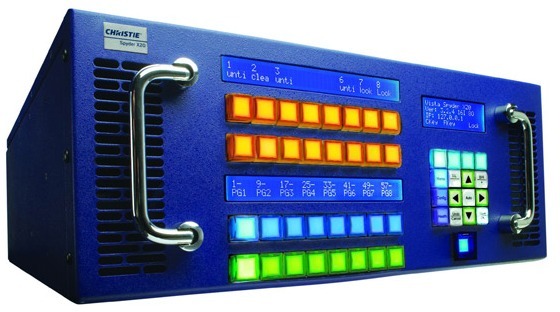 The Christie® Spyder X20 is the world’s leading video processor for live event screen switching, content and display management. Drive multiple displays in any combination of edge-blended widescreen, single and multiscreen applications and achieve higher brightness, enhanced image quality and improved resolution.